ADA PatientSmart | Snack And Sip All Day? Risk Decay! Home » Snack and Sip All Day? Risk Decay! Sip and Snack All Day? Risk Decay! • Do you sip soft drinks or other sugary drinks (even coffee or tea with milk and sugar) all day at your desk? • Do you use breath mints or eat candy often? • Instead of eating meals, do you snack all day? 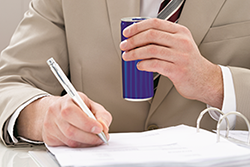 • Do you often grab a soda, sports or energy drink when you are tired? If you answered yes to any of these questions, you may be increasing your chances of developing cavities. Plaque is a sticky film of bacteria that forms on teeth. When you do not remove plaque from your teeth every day, it builds up. The bacteria in plaque create acid from eating the sugars found in what you eat and drink. This acid attacks enamel (e-NAM-uhl), the hard surface of the tooth. The acid stays on the enamel for up to 20 minutes after you are finished eating and drinking. Eventually, the enamel can wear away from these acids and cavities can start to form. Cavities do not go away on their own and must be treated by a dentist. When you have sugary foods or drinks many times a day or over a long time, it exposes the enamel of your teeth to acid attacks throughout the day. This raises your risk of tooth erosion and getting cavities. 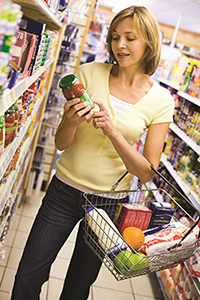 Read food and drink labels so you can choose options that are low in sugar. Eating a well-balanced diet may improve your chances of avoiding diseases like heart disease, type II diabetes, and oral diseases, like cavities. For teeth to be healthy, they need vitamins, protein, calcium, and phosphorous - and you can get them all from a healthy diet. • includes a variety of whole fruits and vegetables as well as whole grains, like brown rice and oatmeal. • adds different protein sources such as lean meats, beans, eggs, poultry, fish, cheese and Greek yogurt. 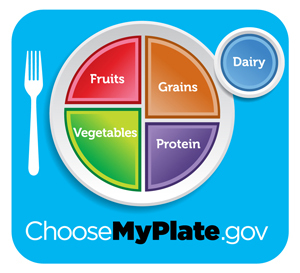 • is low in saturated fats, trans fats, salt (sodium), and added sugars. • is well-balanced and based on eating foods in amounts according to your specific height, age, weight, gender and activity level. You cannot and should not remove all sugar from your diet. Many foods and drinks - like apples, carrots, and milk - naturally contain sugars and have key vitamins, minerals, and nutrients that your body needs. Avoiding foods that contain a lot of sugar but few other nutrients will lower your chance of developing cavities and have other health benefits, too! • Avoid sugary drinks when possible. 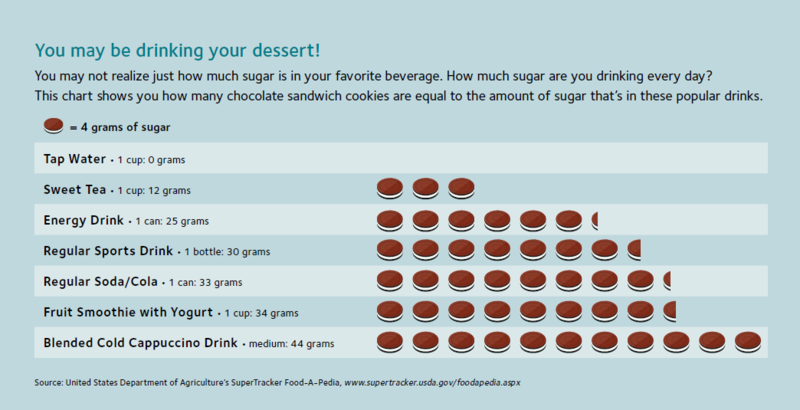 Many sports and energy drinks as well as sodas and sweetened teas all have a lot of sugar. Even fruit juices that are "100% juice" are high in sugar. • Limit snacks between meals. Choose foods that are low in sugar and fat, like an apple or handful of almonds. Try to follow-up with a glass of water. This can help rinse bits of food in your mouth, but it does NOT replace brushing and flossing regularly. • If you have sugary foods and drinks, have them with meals. Saliva increases during meals which helps weaken acid and rinse bits of food from your mouth. • Chew sugarless gum that has the ADA Seal of Acceptance. Chewing gum after meals has been shown to increase saliva and can help reduce cavities. • Drink water. Drinking tap water with fluoride (FLOOR-eyed) can help prevent cavities.